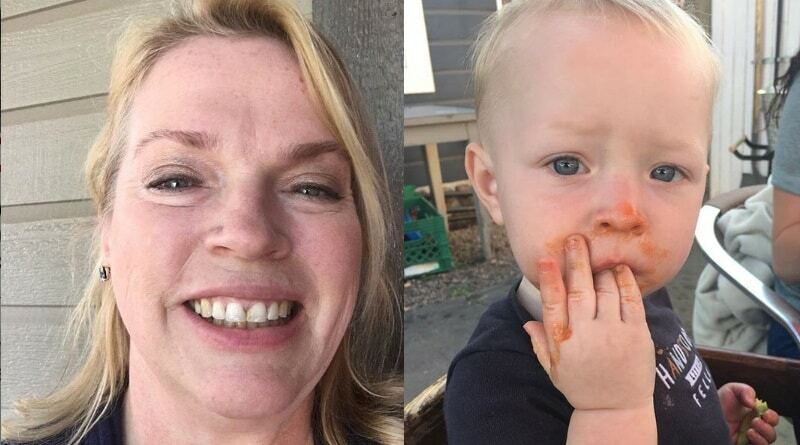 Sister Wives star Janelle Brown posted a photo of grandson Axel Brown Brush, but some suggested the child was at risk for choking under his grandma’s watch. Many wondered if she knew what it took to keep a toddler safely amused. One thing is for sure, Janelle is a proud grandmother. She frequently shares how much fun she has with Maddie Brown and Caleb Brush’s son, Axel. First of all, Janelle seems like a very hands-on grandmother. And now, daughter Maddie Brown is pregnant again and that means another grandchild to spoil. But she hasn’t had a toddler in her house for years. 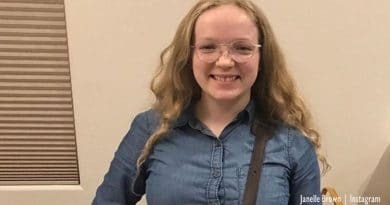 The SW mom’s youngest child, Savanah Brown, is a teen. So she’s got a different mindset these days about kids. That could be why she gave her grandchild a toy that concerned some fans. 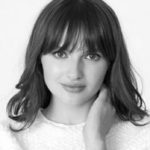 Janelle shared a post of Axel Brush playing with household items she saw suggested as fun on Pinterest. The pic below shows the little one playing with pom poms and a muffin pan. 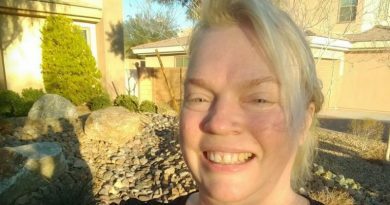 Sister Wives star Janelle Brown had no idea she’d face criticism over the creative idea. 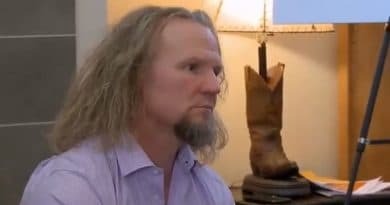 Because Axel Brown Brush is the first grandchild for the sizeable Sister Wives family, he’s got four grandmothers and one grandfather on the Brown side of the family alone. While polygamy is not for everyone, it does make one thing clear. The kids in this family are well-loved by many. Furthermore, all of the Brown children seem to be growing up to be good kids that would make any parent proud. Not only Janelle Brown, but Meri Brown, Robyn Brown, and Christine Brown all appear to be great moms. 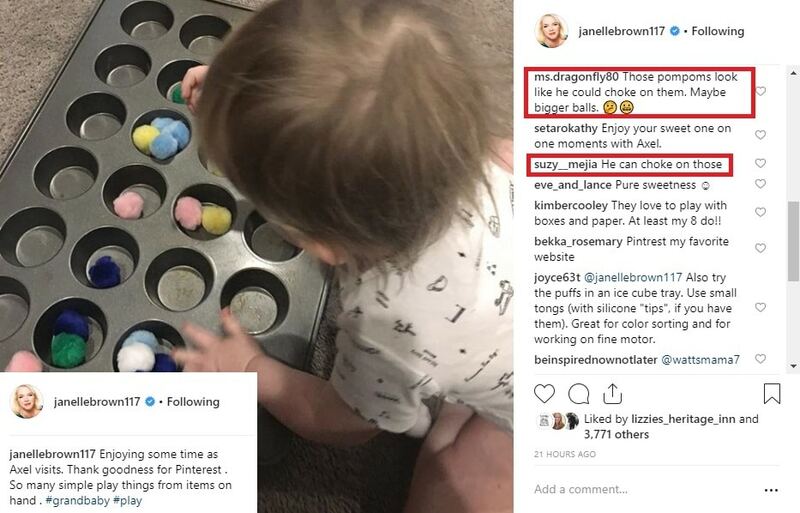 So of course, Janelle meant no harm by offering craft items for Axel to play with. Choking Warnings Posted With Kindness? Because Janelle Brown is such a loving mom, the Sister Wives fans didn’t make the pom poms a huge issue. Often reality stars attract vicious comment from haters. But this doesn’t seem to be the case. Instead, her social follower offered gentle advice. They suggested that the cotton balls could be a choking hazard, but weren’t mean about it. Rather than slamming Janelle for this picture, commenters offered constructive criticism about the possible hazard shown in the photo. The way that SW fans delivered the messages indicated respect. Especially in her new role as the first grandma on Sister Wives. Fans didn’t shame Janelle – instead they offered a gentle reminder. Fans Right To Worry Axel Brown Brush Could Pop One In His Mouth? Admittedly, the colorful pom poms are the perfect size for a tyke to pop in his mouth. And the bright colors might look tasty. Then again, if the Sister Wives grandma was carefully watching, Janelle Brown might have been right on top of things. Some comments suggested using something bigger than these small balls next time. But even if Janelle Brown or another adult sat right next to Axel the entire time, there’s still a danger. A toddler can pick up one of those balls of cotton and pop it into their mouth in the blink of an eye. While she hasn’t replied to the comments yet, she probably got the message from the well-meaning Sister Wives fans. Tune into TLC on Sunday nights to watch the new season of the hit polygamy reality show. Check back with Soap Dirt for all the latest Sister Wives news and updates.